Having some birthday cake. Very neat, as well as very inspiring too.. :) Michelle being cake crazy (or “gone birthday bananas” as Danny put it in the Season 3 episode The Greatest Birthday on Earth). 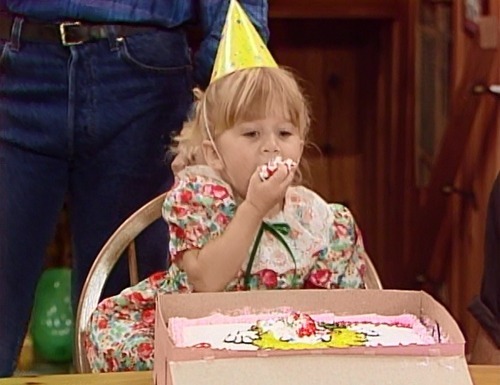 Wallpaper and background images in the フルハウス club tagged: full house the greatest birthday on earth season 3 episode photos.